Feel free to view a map of all of our locations. Here at headquarters, we offer same-day cleaning services, in addition to our numerous traditional services. Below, we have a brief overview of all of our services, including information on our garment dry cleaning services; our wash, dry, and folds; our specialty item cleaning services; our cleaning services for household items (like blankets, rugs, and more); our emergency cleaning services, and our additional services (including tailoring and alterations). Read on for more information about our individual services, or reach out to our headquarters address at 407-649-1441. If you have a closet that’s chock full of garments with labels that read “Dry Clean Only,” we’re the crew to count on for your cleanings. We offer uniquely eco-friendly dry cleaning services for any garment in your wardrobe, including all of the following. Your business attire should make a professional impression. Yet, these high-fashion garments aren’t impervious to the occasion stain, and they’ll need a cleaning after a day in the office. When you have business wear that requires delicate, yet effective cleaning, you can count on our dry cleaning outfit. As we mentioned, we offer same-day turnarounds for most items, so we can even help you if you’re in a pinch and need a cleaning ASAP. We also provide ironing services if you’d simply like to freshen up the look of your garments before the work week. Need to clean your favorite little black dress? Or did you accidentally get cocktail sauce on your favorite button-up? We can help. Bring any and all of your evening wear items in to the shop to get a thorough cleaning that will leave your clothes feeling clean and looking great. Our dry cleaning process is designed to provide a thorough cleaning without prematurely wearing out your evening attire. Sports wear can be especially difficult to clean, yet it often requires the most attention — since it can be caked in sweat and grass stains. Fortunately, we make quick work of sports wear, so you can get back in the game. Bring any of your sports garments into the shop, including items that are made out of less traditional materials, such as nylon, lycra, and polyester. Did you end up dunking your favorite tie into a bowl of punch last weekend? Or perhaps you had a scarf fly off into mud puddle as you toured downtown Orlando. Regardless of the situation, we have the solution. If you have wardrobe accessories that require a cleaning, you can count on the cleaning experts here at Best Cleaners. Feel free to read more about our garment cleaning and restoration services. Take note, we also provide free pick up and delivery services! We all get busy. When your schedule is full, or when your washer decides it’s time to break down, we can help you out. We provide wash, dry, and fold services for any and all of your normal garments. We also work with larger items, such as comforters, so that you can clean every article in your home in one fell swoop if you’d like. Best of all, we provide free pick up and delivery services, so that you don’t have to lift a finger to clean out the hamper. Count on our professional garment cleaners for one-time or recurring wash, dry, and fold services. When you spill wine on a cherished, heirloom rug, you might feel more than distraught. Don’t fret. We can help you out. We offer cleaning services for a variety of specialty items, including wedding gowns, fine rugs, vintage items, and items that are crafted out of leather, suede, or fur. After your wedding, your cherished gown will likely have a few stains from a night of dancing, drinking, and cutting cake. We can restore your wedding gown to its former glory with our specialized cleaning services. We strive to maintain the integrity of the delicate fabrics of your wedding gown, while providing a thorough clean. Your fine rugs are valuable, and likely delicate. If you have a fine rug that requires attention (whether it needs a thorough cleaning and deodorizing, or some spot treatments), we’re here to help. Best Cleaners will give your rugs an unbelievable clean, so that even the most ancient heirloom rug in your home looks new. If you have vintage garments that look like they’ve been tested by time, we provide restoration services. From hemming to stain removal to fabric repairs, we’ll update your vintage garments to give them new life. Leather, suede, and fur items require special attention. If you have a leather jacket that is battered and beaten, we can clean and restore it. Or perhaps you have a precious pair of blue suede shoes that have seen plenty of nights on the dance floor (and a few stains from spilled cocktails). Well, we provide cleaning and restoration services for these items as well. Feel free to learn more about our specialty garment cleaning services, and feel free to take advantage of our free pick up and delivery services! Do you have a large duvet? Or is it time to turn over all the blankets in your home? We’re here to help. We provide specialized cleaning services for comforters and blankets, so that you can rest assured you’re resting on fresh, clean cloth. We also work with specialty blankets, including afghans, quilts, and heirloom items. If it’s time to pull off those pillow shams for a professional cleaning, we’re here. We work with all types of shams, including those with intricate designs and exotic fabrics. We also provide stain removal services if you happened to spill coffee on that couch pillow. Your drapes are likely heavy, and far too large to stuff into the washer (which could potentially damage your drapes). At the same time, your drapes aren’t impervious to dust, pet dander, and odors that are constantly moving through your home. If you need to have your drapes cleaned, we’re here for you. Your rugs are similar to your drapes — they’re big and bulky, and they soak up dust, dander, and odors. Plus, your rugs see far more traffic as people and pets motor over their surfaces. If you have rugs that could use a deep, professional cleaning, try out Best Cleaners. Again, we provide stain removal services, as well as deep cleanings for rugs. You can learn more about our household item cleaning services, and feel free to take advantage of our free pick up and delivery services! When tragedy strikes, you may lose precious valuables. When your home is flooded or damaged by fire, you may be left with damaged clothing, garments that smell like smoke, and rugs that are soaked with water that can harbor mold and bacteria. While you’ve just endured a most unfortunate event, fortunately, there are solutions when it comes to your water and fire damaged garments. Here’s how we can help. Fire can wipe out entire wardrobes of clothing. You can lose articles to flames in seconds. However, fire doesn’t always cause irreparable damage, and in some cases, we may be able to restore your items. Just reach out to us if you’re unsure whether we can help you with your specific garments and damage. Water damage should be attended to quickly to keep mold, bacteria, and stains from taking hold of your garments and articles. If your home has been flooded, and you’re stuck with drenched, water damaged items, we can clean them and dry them, so that they’re in as good of shape as they were before the flood. Smoke is particularly difficult to remove from clothing and other items, since it can discolor them, while penetrating their surfaces with a pungent odor. Fortunately, we specialize in deodorizing and cleaning smoke damaged clothes and articles. We’d be happy to provide the remedy when your items have endured plumes of smoke. On top of our traditional dry cleaning services, we also provide alterations and tailoring. If you want to transform a beautiful, yet poorly fitting garment into a beautiful and well-fitting article, we can help. We provide custom alterations for any clothing items, so that they better fit your body. We also provide custom tailoring to create clothing that is perfectly suited for you. Reach out to us if you have any questions about our tailoring and alteration services. 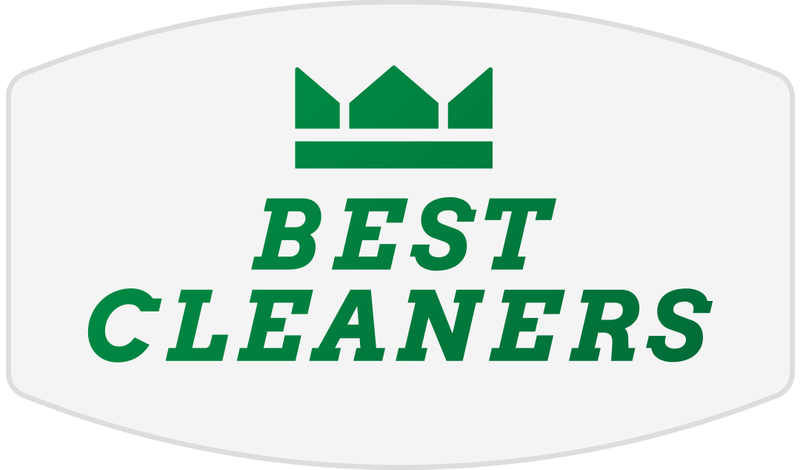 Best Cleaners is always here when you need dry cleaning services or specialty garment services. Feel free to stop by our headquarters here in Downtown Orlando, or you can visit any of our other six Orlando metro locations. Don’t forget, we provide free pick up and delivery solutions to make our services even more convenient!